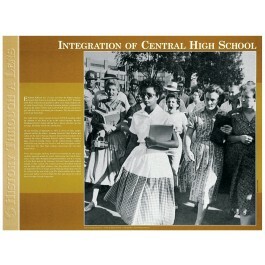 This poster of the integration of Central High School in Little Rock, Arkansas. 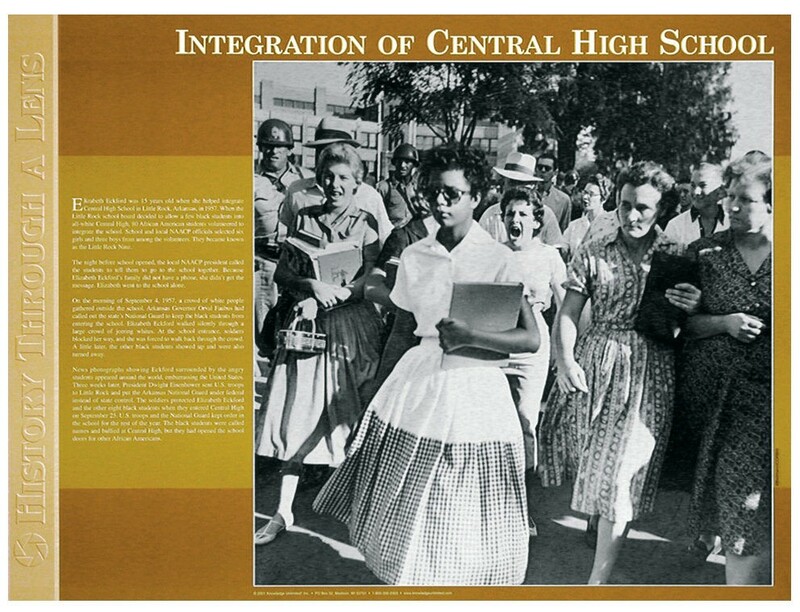 features the historic photo of Elizabeth Eckford as she ignores angry white hecklers on the day in 1957 that nine African American students attended the school for the first time. This poster features a large image of this historic photo . It also contains explanatory text that gives background information to this important milestone in the history of civil rights in the U.S.